I was just metioned on Hostess with the Mostess blog! 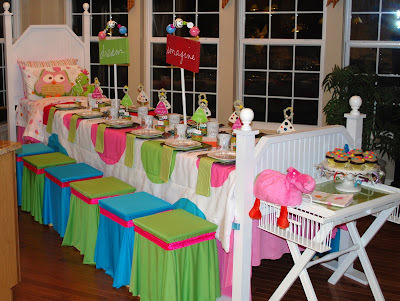 Jaime from Giggledust Parties made up this amazing Night Owl Slumber party for her daughter and it was featured on HWTM. She listed my Slumber Party as her inspiration. Thanks so much Jenn and Jaime! What a wonderful party. I enjoy visiting Hostess with the Mostess often. I looked at your party and just loved the candy bar pillows. Too cute! Thats great. What a great party! Yay!! :) I do think that your party should be featured on Hostess with the Mostess too!! You are very creative. Congratulations! That was truly a unique and creative party! omg i just found you blog! i just started my blog.. hope you like my work aswell!! Your new Follower and Fan! 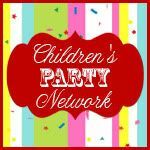 Congrats on the mention-- I've just discovered your blog and am loving it-- fabulous party ideas! Hope you have a wonderful birthday!